So sad this is our final week of our Blogmas link party. It has been too much fun seeing all the Holiday inspiration each week. I love the Holidays so much and I’m always sad to say good-bye and start a new year. But enough of the sadness, let’s finish this party with a huge celebration! If you are still finalizing your Holiday baking, we have some of the most delicious features for you. Lots and lots of peppermint treats (my favorite for Christmas), chocolate, and the most beautiful turkey for Christmas dinner! Yum! Now it is time for you to share your Holiday lifestyle posts, we want to see you Holiday fashion and beauty secrets (I know I love learning new secrets), roundups, tips and tricks to help us finish off the season with a bang! I can’t wait to see what you have to share. We want to see your very best holiday posts! 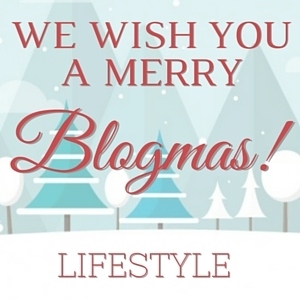 Now, just for clarification, even though this event is called Blogmas we aren’t only accepting Christmas themed links. We want to see any and all posts that are related to the upcoming holidays. So if you have any Hanukkah, Kwanzaa, Boxing Day, or New Years posts, feel free to share them as well! As mentioned before, the link ups will be themed each week so if your link does not follow the guidelines for that week, it will be deleted. You all absolutely blew us away with your delicious recipes! Here are some of our favorites!